About a week ago, I went for lunch on Brick Lane in this lovely Syrian restaurant called Damascu Bite. 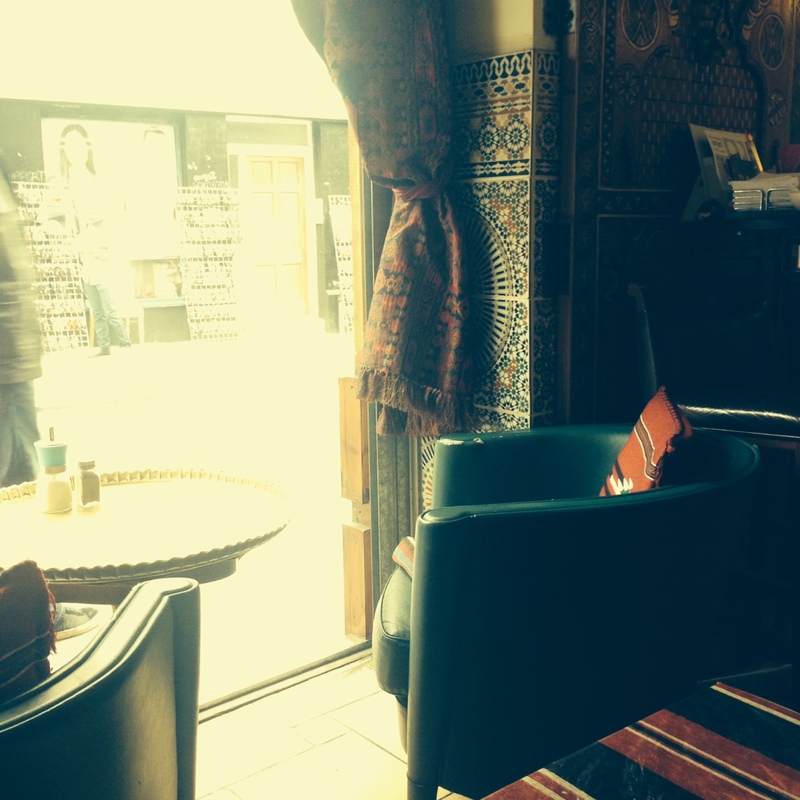 The decor is gorgeous, and they do a very good halloumi wrap. When we first arrived, there were two girls sitting at the table by the window, chatting. Suddenly, a guy with a very large camera appeared and started taking photos of them. One of the girls looked up, alarmed, and he barked “Don’t look at me! Don’t look at me!” at her, and gestured for her to continue talking to her friend. A second man appeared and started taking photos, and just when we thought they were done and saw them walking off, a woman got in and snapped one last photo before running to catch up with the other mystery paparazzos. Aside from that bizarre episode, it was a really nice lunch. The staff are friendly and they don’t rush you – its definitely the kind of place that you feel like you can hang out for a little while, rather than being rushed out the door. The food isn’t as amazing as other places I’ve been, but it’s tasty, it’s reasonably priced, its relaxed and the interior really is so pretty.